Cab-hailing app Ola has rolled out Ola Micro, its newest low-cost riding service, as it looks to strengthen its offerings to retain its edge over main rival Uber. The service will be initially available only to select customers in Mumbai, according to the startup's website. Ola Micro replaces Ola Mini as the cheapest cab service under the Ola banner in Mumbai. With a base and minimum fare of Rs 45 and Rs 60, respectively, and Rs 8 per km, ride-time charge of Rs 1 per minute, the tariff is probably Ola's answer to Uber's low-cost service, uberGO. Ola Mini charges Rs 100 for the first 4 km, followed by Rs 11 for every subsequent kilometre with a ride-time charge of Rs 1 per minute after the first 5 minutes for intra-city travel in Mumbai. TaxiForSure charges Rs 8 per km and Rs 1.5 per minute ride-time charge. In comparison, Meru's Genie cab service charges Rs 99 for the first 4 km followed by Rs 16 for every additional kilometre in Mumbai. While there is no per-minute ride-time charge, Meru charges Rs 2 per minute for waiting. Simply put, assuming that a 20-km ride in Mumbai takes 60 minutes, the fare will come to Rs 265 for Ola Micro and uberGO, Rs 293 for TaxiForSure, Rs 335 for Ola Mini hatchbacks, and Rs 356 for Meru Genie. It isn't clear what type of cars Ola Micro would provide. 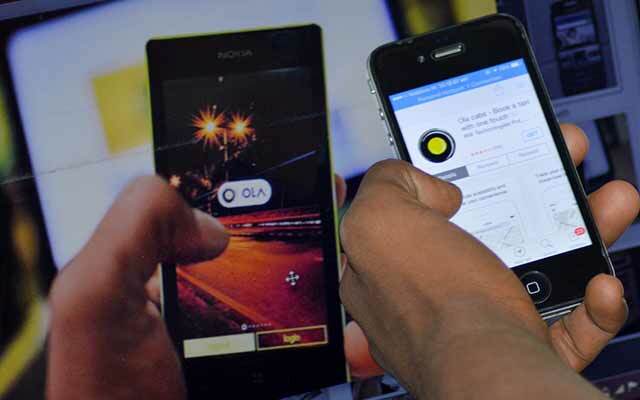 It is also not clear yet whether Ola will roll out the new service to other cities. The company didn't respond to Techcircle.in queries till the time of filing this report. The launch of Ola Micro comes at a time when Mumbai-based ANI Technologies Pvt Ltd, which runs the startup, is battling competition from US-based Uber Technologies, to capture a dominant market share in the fast-growing cab-hailing business as urban commuters increasingly look for more affordable options for their daily commute. Though backed by big investors, Ola and Uber continue to depend on deep discounts to passengers and incentives to drivers to drive ridership. Ola recently completed its Series F funding round by raising $500 million from Scottish investment firm Baillie Gifford and China's Didi Kuaidi, besides some existing investors. Ola has raised $1.3 billion in funding till date. In July last year, Uber India president Amit Jain said the company would invest $1 billion in India over nine months for expansion. To expand its offerings, Ola had launched carpooling service Ola Share in Bangalore last October. It has also introduced mobile payments through the Ola Money wallet service. The Ola Money app allows users to recharge mobile phones and send money to friends and family. Founded in January 2011 by IIT Bombay alumni Bhavish Aggarwal and Ankit Bhati, Ola allows users across 102 cities to book from about 275,000 cabs and 75,000 auto-rickshaws on its platform. It aims to enroll one million drivers on its platform in three years.